Nicholas Daniel’s long and distinguished career began when, at the age of 18, he won the BBC Young Musician of the Year Competition and went on to win further competitions in Europe. As one of the UK’s most distinguished soloists as well as a highly successful conductor, he has become an important ambassador for music and musicians in many different fields. In recognition of this, he was recently awarded the prestigious Queen’s Medal for Music. Nicholas has been heard on every continent, and has been a concerto soloist with many of the world’s leading orchestras and conductors, working under conductors such as Sakari Oramo, Sir Roger Norrington, Oliver Knussen, Richard Hickox, Jiri Belohlavek, David Robertson , Sir Mark Elder and Sir Peter Maxwell Davies. 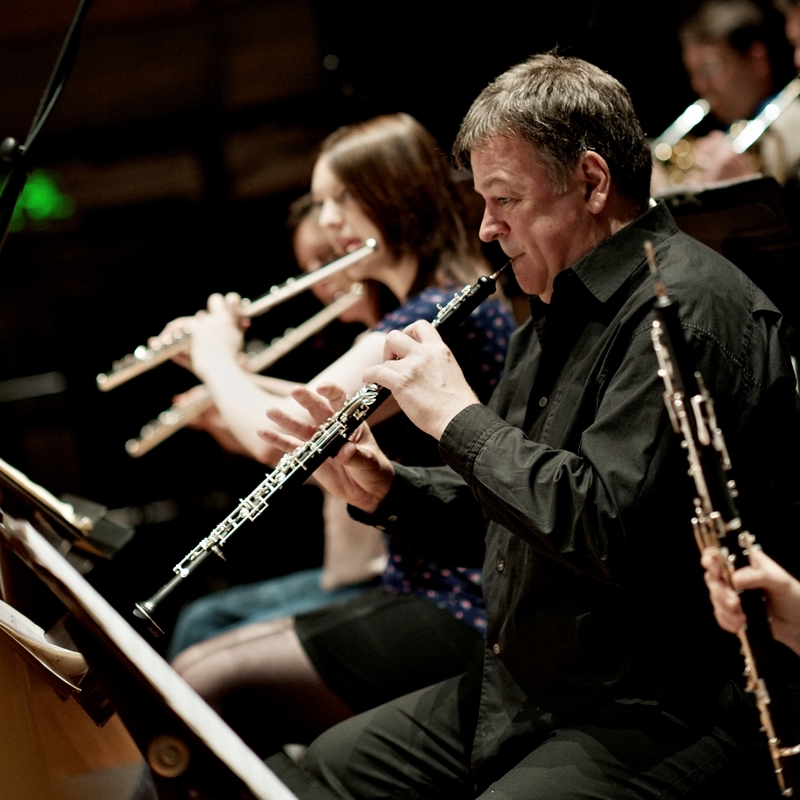 In addition to his extensive experience in baroque and 19th-century music, he is an important force in the creation and performance of new repertoire for oboe, and has premiered works by composers including Sir Harrison Birtwistle, Henri Dutilleux, Thea Musgrave, Nigel Osborne, John Tavener, James MacMillan and Sir Michael Tippett. He made his conducting debut at the Proms in 2004 with Britten Sinfonia, of which he is an artistic associate and founder member. He has conducted many projects with the orchestra over 20 years including BBC broadcasts, with repertoire ranging from the Strauss Metamorphosen and Finzi Dies Natalis with Ian Bostridge to the Britten Serenade, Mozart, Haydn and many new works. As a conductor in Europe, he has strong associations with Scandinavia, having worked with the Jonkøping Symphony Orchestra in Sweden, Lapland Chamber Orchestra, and Kristiansand Chamber Orchestra. Other European orchestras he has worked with include Spectrum, Berlin (in Philharmonie Kleine Saal), Budapest Strings and the New Symphony Orchestra Sofia. Operas he has conducted include Mozart’s Zaide at the Kuhmo Festival and Britten’s Noye’s Fludde at the Townsville Festival, Australia. He is Artistic Director of the Leicester International Festival, and teaches in the UK and in Germany, where is he Professor of Oboe at the Musikhochschule, Trossingen. An active chamber musician, Nicholas is a founder member of the Haffner Wind Ensemble and the Britten Oboe Quartet, whose debut disc will be released on the Harmonia Mundi label early 2017. He also regularly works with the pianist Charles Owen and the Carducci Quartet. Nicholas Daniel – Beethoven and me from Britten Sinfonia on Vimeo.